Did your favorite costume make our list of best sellers? We are the online leader in providing Star Wars costumes for dress-up, cosplay, birthdays and of course, Halloween. 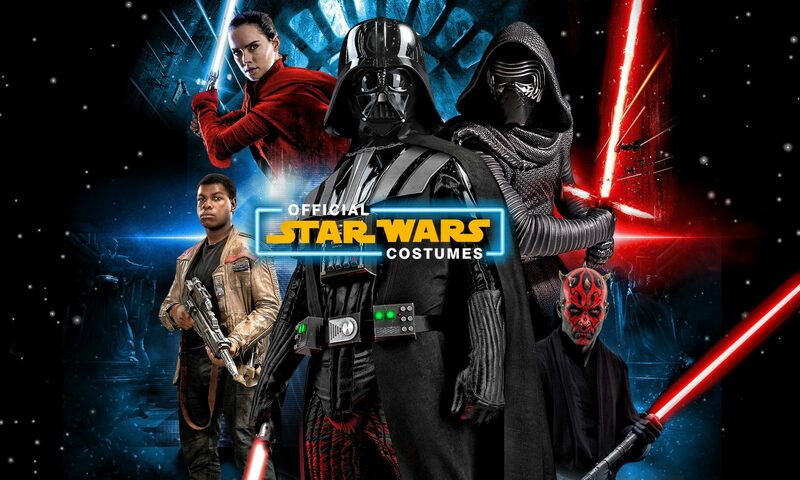 We sold millions of products in 2013 and here we reveal our top 9 best-selling Star Wars costumes of 2013! This rebel leader is the Empire’s greatest enemy. She helps to take down the Empire and bring peace to the galaxy! Princess Leia is without a doubt the most well-known female Star Wars character! Darth Vader has been an amazingly popular character ever since his debut in 1977. His tragic backstory, imposing size, and incredible force powers make him one of the greatest villains of all time! It makes perfect sense to dress up your child as this diminutive Jedi Master; they’re almost the same size! Originally a puppet performed by Frank Oz, in the new trilogy Yoda was given a wider range of motions in the prequels with the help of computer-generated effects. Leia Organa will never let the Empire win while she still fights! She’s a princess, warrior, politician, and Jedi rolled into one! A perennial fan-favorite, Darth Vader will always be spotted at fan conventions or movie screenings. With one of the most recognizable helmets in the history of film-making, he’s sure to be popular for years to come. Join the illustrious Jedi order this Halloween in the Standard Jedi Adult Robe Costume! The secret to the Robe’s popularity is its universal appeal to any Star Wars look! The Stormtrooper is one Star Wars’ earliest symbols of the evil of the Empire, and is a look bound to be recognizable no matter where it’s seen! It’s an immediately-recognizable science-fiction outfit that looks and feels great, perfect for Halloween and costume conventions. This classic figure has never looked better! What child hasn’t dreamed of being the young farm boy who discovers his life is so much more than he thought? Surely one of the most popular characters in Star Wars, he’s not only the archetypal hero, but a legendary character from movie history! In conclusion Leia topped our list three times, Vader had two best-selling costumes, and Luke only had one! Did we leave any main characters off this list? Let us know in the comments who you think the top seller will be in 2014. Next PostNext Star Wars Fans- Which Lightsaber is right for you?